If you have a business online then increasing your online conversions has to be a major priority. This one metric has an outsized impact on profit. Get more customers for the same price, it is very simple. So these are 5 things that you can do today to help increase your online conversion. First and foremost I will mention testing, this is so important im putting it right up front. Every business should be testing everything. I know it sounds a bit crazy, but honestly you need to look at the numbers to help guide decisions. Content such as what text works or what offer or price plan people prefer. Whenever you have a new idea test it out first and see if the numbers work. You should be looking to make your leads journey as frictionless as possible. We have all been there ourselves when something is difficult or ￼complicated we leave it and move on to something else. Every additional field that you add on a form adds a layer of friction, and they start to add up quickly. Do you really need to know their mailing address? Or what industry they are in? What you are looking for can usually be boiled down to two things, name and email address. We all want more information on our customer, but the keyword here is CUSTOMER, this person has not bought from you they are still a lead. While they are a lead they need to be nurtured and taken care of because any swift move might scare the lead away onto someone else’s website. While this person is still a lead, make it as simple and as easy as possible to sign up or register on your website. Once they have done this then you can nurture and grow the relationship so that the lead will have no issues giving you their information. You don’t even have to take my word from it, neilpatel.com originally had 4 fields for his online form. Naturally he thought that having so few fields would not impact his conversion rate. But of course you need to test this, and clearly Neil Patel would, so he removed revenue as a field. What happen? a 26% increase in conversions. Make your forms as easy and simple as possible by only asking for what you really need. Speed is everything with online leads. You should be responding to your leads in under 5 minutes. The faster you connect, the faster you close. 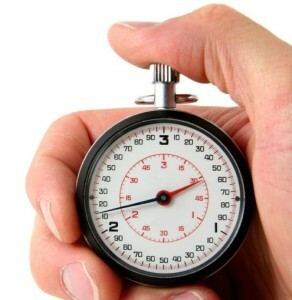 Companies who respond in under 5 minutes can have a contact ratio as high as 100% and increase sales by more than 22%. Everyone is busy but making sure you call your lead in under 5 minutes to set up a meeting with them can make the difference between closing a sale and losing a sale. On average companies can take more than 24 hours to respond to an online lead, which leaves plenty of time for the lead to forget why their raised the enquiry or worse to find one of your competitors. This is something that every company can strive for without making a single change to your website. If someone is interested in your business, THE LEAST you can do is be responsive to their request. If there is only one thing you take away from this post it should be that the quicker you respond to your leads, the more leads you will close. Speak to your leads in under 5 minutes for highest conversion rates. It is in our DNA to watch other people and use them to help us in our decision making process. When we see a lot of people doing something we assume that it is the correct decision. I have seen examples of people waiting in long lines without knowing what is at the end, but assuming if lots of people are waiting for it then it must be worth the wait. So it is really important for you to show the world who loves you so that they can feel comfortable using your product or service. There are lots of different ways to do this on a website. Social Counters – This encourages people to share your site but also shows how many people have shared you in the past to help establish your credibility. 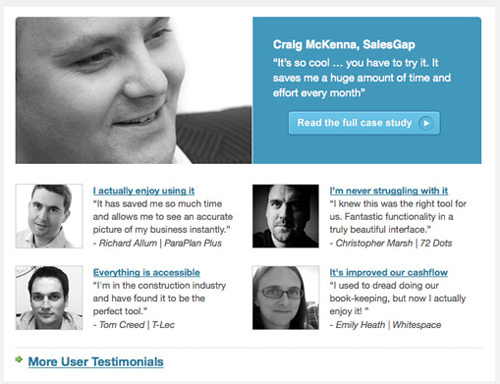 Testimonials – Nothing says it better than quotes directly from your customers, with actual names and companies. If you really want a boost put in their photos as well, it has been proven over time that customer have more trust in testimonials with photos. Client Logos – This is pretty standard these days, but always good to keep the list updated so when they check back they are not seeing the same brands. Media Coverage – Good to link to any press or articles written about your company. This helps in building the trust because it is coming from a reputed third party. Make sure that your leads know you are loved. Always remember KISS (Keep It Simple Stupid), you have one goal for your lead. Whatever that goal is, it maybe to download something, sign up for something, buy for something or to get contacted. Whatever your goal is make sure that you have your home driving only towards that goal. It is very easy to fall into the trap of trying to tell your leads EVERYTHING you can about yourself. There are plenty of sites that do this, and if you are not a big name like Amazon or eBay you are most likely going to confuse or distract your customer. If your leads want more information about you they can dig around the site, you will have videos, product information and FAQs everywhere. But your main page should be clean and goal driven. Focus your homepage on what you want your customer to do. Everyone likes a deal, make your customers feel like they are getting something special. Every business has lots of different options they can choose from. Experiment with what works for you and make sure you A/B Test your options so you can have the data to know something is working. Increase your online conversion instantly. Start our 30 day free trial. Kaiesh is the co-founder and CEO of Lucep. He loves all things technical and can't wait to sink his mind into the next development challenge!